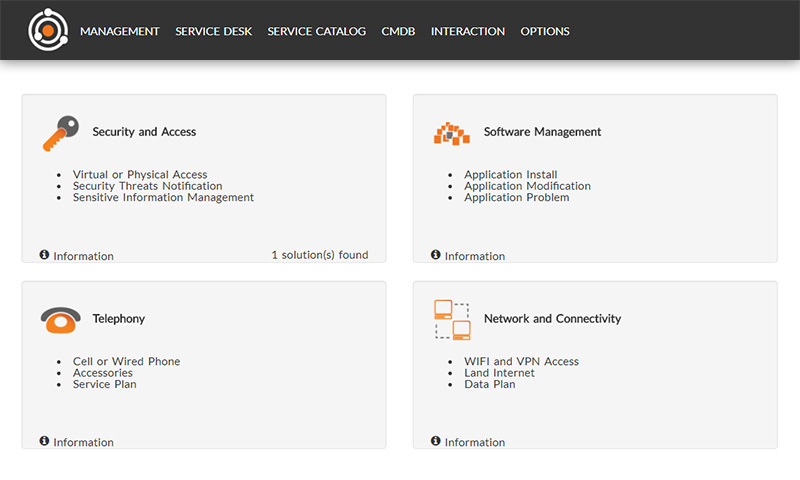 C2 ATOM solution supports service desk processes and is aligned with ITIL®. Incident management, problem management, change management, projects and service requests give you great flexibility. Queues, filters, search options and assignment possibilities allow efficient organization of the work. A knowledge base can meet the high expectations of your customers and encourage the sharing of information. Using the portal, C2 ATOM allows you to route categorized requests in a flash. This self-service space is customizable, providing an experience tailored to your applicants. A service catalog filtered by company, team, or department can make it much easier for your agents to support. Published on a self-service portal, the catalog is a major asset for any service center, support department, agile multi-team context and large-scale projects. Our solution facilitates collaboration and communication between all stakeholders of a simple request or a complex project. 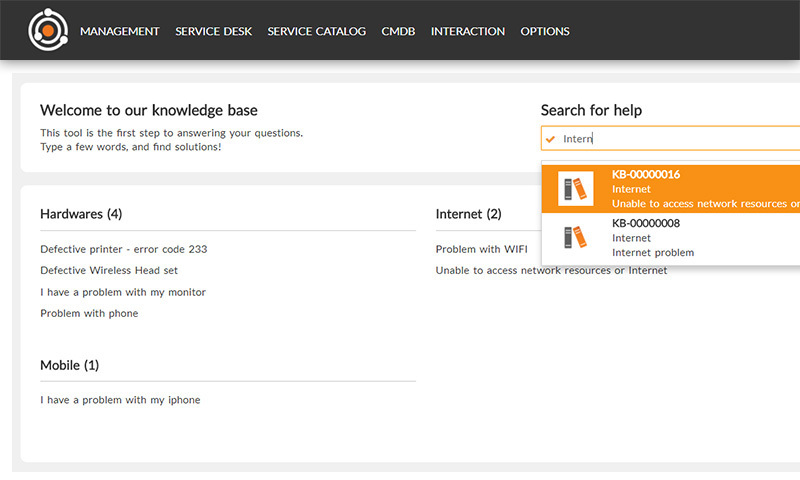 A knowledge base makes it possible to quickly identify the possible resolution tracks. 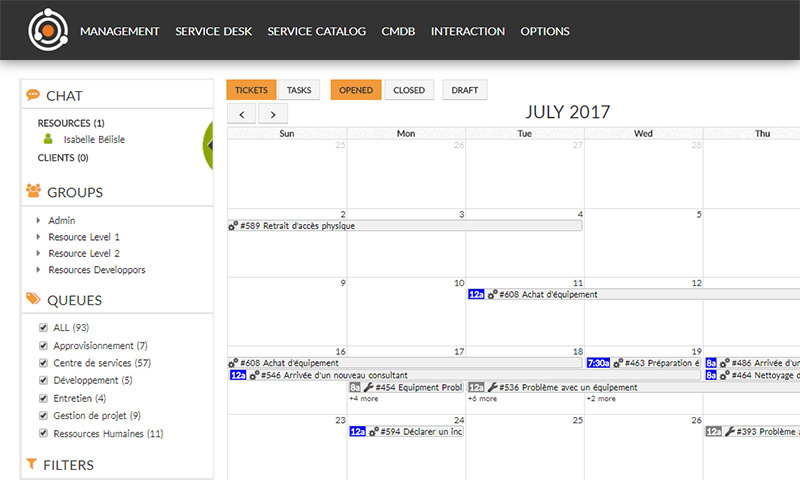 Easily respond to incidents with quick ticket registration, reducing entry time for your agents.